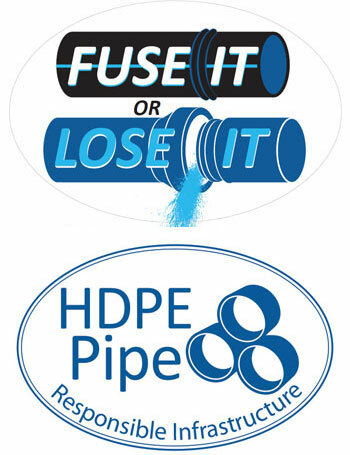 We are your one source for all things HDPE. We have a few of these left from last year in various sizes. 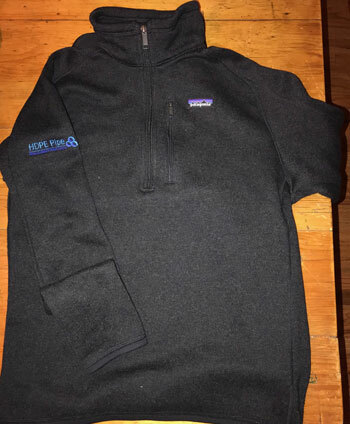 This is the Alliance team's go to fleece on the road. The Responsible Infrastructure logo is on the right sleeve and it has a nifty pocket on left chest. All items shown will have shipping charges added to the price for each. 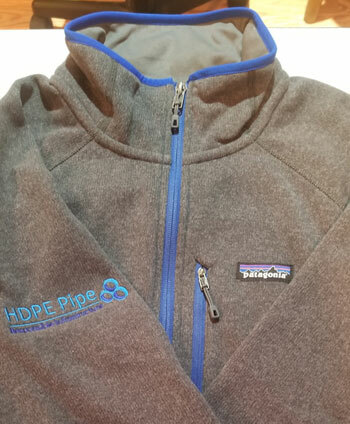 This year's fleece edition is also a Patagonia in a lighter grey with blue trim. We have sold several and everyone loves them. Trim fit. 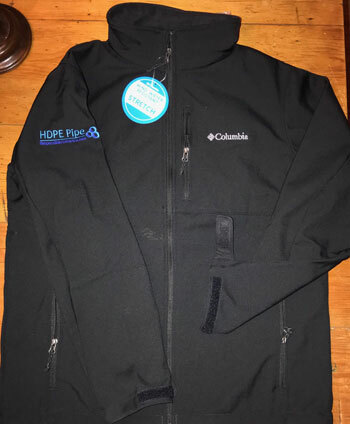 New this year, the Columbia Wind Water Stretch"SoftShell" jacket is the most expensive one in the line up and is well worth it for those that work outdoors. It is black with 3 pockets, a high neck and serious water resistance. It is a full zip jacket with velcro cuffs. 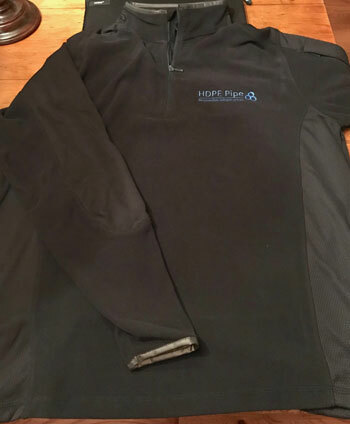 Lands End 1/4 Zip Layer Fit Piece - this is a perfect piece to wear over a t shirt or as a base layer on a cool day. We wear them on the road on roadshow set up days. This comfy base layer or fitness piece can be private labeled with your logo on the chest and the Responsible Infrastructure on the arm. Give us a call for pricing. We have enjoyed Nike gear for years. This year we bought their dry fit line and put our RI logo on the chest. This base layer or fitness piece can be private labeled with your logo on the chest and the Responsible Infrastructure on the arm. Call for pricing. 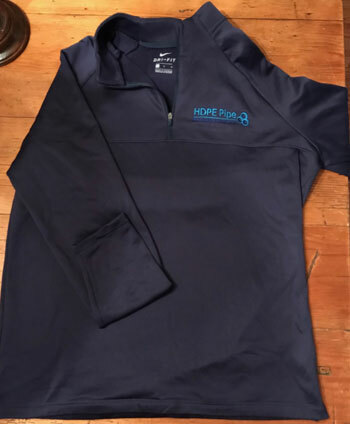 These high quality Gildan cotton poly shirts are sure to make your sales team proud to support your effort in a stylish way! 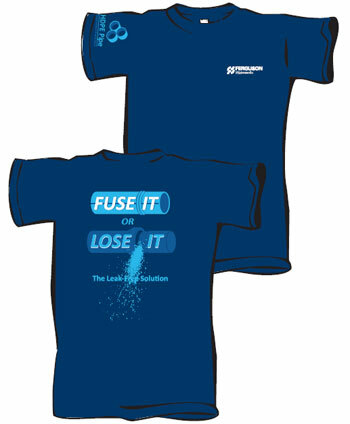 Get our Fuse it or Lose it classic design or customize your tee to include your company logo on the left chest. Nothing is better on the job site than sharing decals with the guys doing the work in the field. If they are fusing poly, they need a decal. Get yours today! 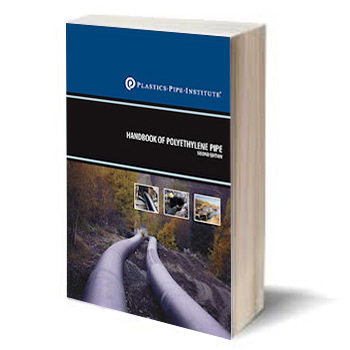 The 2nd edition of the Handbook of Polyethylene Pipe will assist engineers, contractors and owners in designing and building reliable PE piping systems for multiple applications. 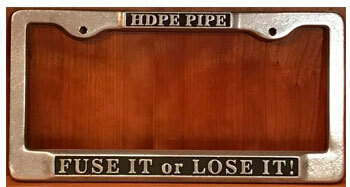 Our high quality chrome license plate frames are constructed of durable chrome finished metal. Fit is standard to most license plates. Nine bright white LED light bulb with push button light and black hand strap. 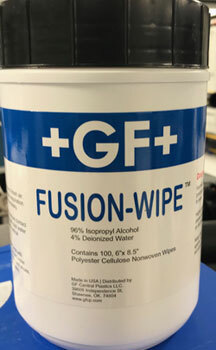 Each plastic container contains 100 each 6" x 8.5" polyester cellulose non woven wipes w/ 96% concentration of isopropyl alcohol.